Crosby beach is a beautiful part of the Sefton coast and very popular with families, walkers, runners, cyclists, dogs and the many visitors who come from near and far to see the iconic iron men statues. Sadly, it is all too often spoilt by unsightly rubbish washed in by the tide or dropped by people who can’t be bothered to put it in the bins or take it home. Even more importantly, if it isn’t removed it is washed back out to sea, polluting the water and harming marine life and other wildlife. Help is at hand from the many volunteers who turn out once a month to clean it up. It started very small in January 2017 with just one family but really took off when we set up our Facebook page. 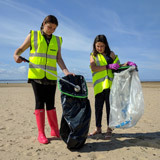 We now get a huge number of volunteers and it is a joy to see them all scattered across the beach in their yellow hi-viz working away, whatever the weather, to leave our beach sparkling clean for everyone to enjoy. David Attenborough would be proud of us! 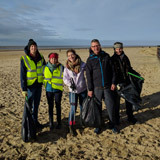 With very grateful thanks to the Sefton Coast and Countryside team for their help, to Blundellsands and Crosby Ward councillors for securing funds for our equipment to get us started and to Unison, Sea Changers and Tesco Bags of Help for grant funding to keep us well equipped. Last, but definitely not least, to our wonderful band of volunteers. * Don't miss our second Marine Awareness event on Satuday afternoon, 18th May. * Two extra cleans on Saturdays in the summer for people who can't make Sundays. 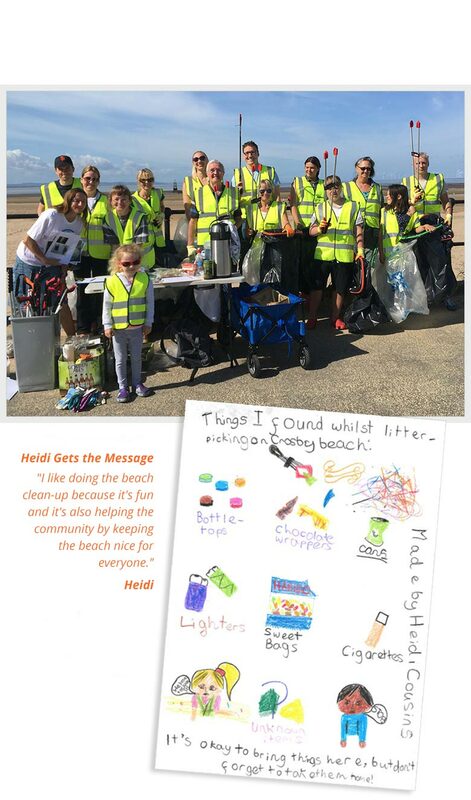 * Read about the amazing effort by the whole of Bedford School, Bootle to clean the beach and their campaign against single use plastic. 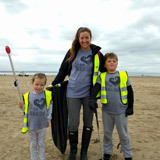 I’ve really enjoyed helping with the beach clean up. I think it’s really worthwhile and important to keep our environment clean and safe!! The regular pickings certainly make a HUGE difference. The beach looked amazing after today’s clean up! Let's appeal to everyone that visits not to rely on us volunteers, we have enough to collect that comes in with the tide. Please take all of your rubbish home with you. I was delighted to see so many people out helping today. It really was eye opening for me and heart warming to find that there are so many people who care and encourage their children to be involved too. You provide a great service in so many ways, environmentally, educationally and physically.